The Waterston lady is perhaps the most enigmatic and consistent paranormal sighting in the County of Pembrokeshire. For decades the figure of a woman has been seen to haunt the quiet stretch of road that is the Waterston road leading from LLanstadwell. The road is flanked by woods and fields and is just a normal Pembrokeshire side road for all intensive purposes. Or is it? Does a ghostly old lady haunt this area? Pembrokeshire Beyond received a new sighting of what appears as a transparent and glowing old woman. One driver, who drove the road, on Saturday 18th April had his own startling encounter, He has asked to remain anonymous but was happy for Pembrokeshire Beyond to publish his account. What the Gentleman has seen is not uncommon, G L Davies, new owner of Pembrokeshire Beyond and founder of theparanormalchronicles.com had this to say. Will you see a ghostly old lady on The Waterston road? Another sighting was similar but the woman was said to be holding a bundle in her arms and a great melancholy was said to accompany the sighting. Is it perhaps a baby she holds in her ghostly arms? Are the two sighting the same woman? Could there be more than one spirit on this road? 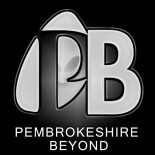 Pembrokeshire Beyond asks ALL drivers to be Vigilant and to keep safe. This entry was posted on April 20, 2015 by The Paranormal chronicles in Uncategorized.